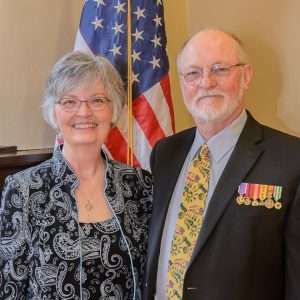 We have posted poems here friends as well Marines who fought at Khe Sanh and elsewhere during the Vietnam War, including poetry from friend and supporter Betty Plevney, Vietnam veteran and Marine Barry Hart and most recently Bravo Company’s Skipper, Ken Pipes. Poems are a good way to capture the imagery and action related to combat. Recently I wrote a blog about the Payback Patrol of 3/30/1968. 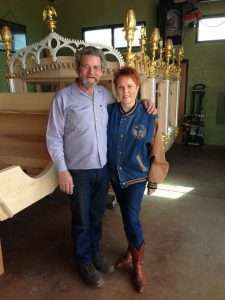 One of our friends, Susan Parker, who is an ardent supporter of BRAVO! COMMON MEN, UNCOMMON VALOR, read that blog and was moved to compose a poem. She captured, in my opinion, both the agony of combat and the disconnect between the world at home and the world of war. Check it out! sounds of gunshot ringing in your ears. I was cutting the wedding cake. Writer and poet Susan Parker was born in a small town in Northern California but never enjoyed the cold, gray and damp weather. 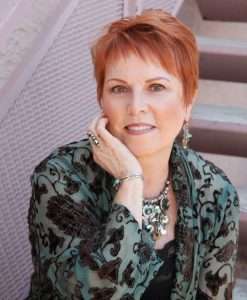 One who embraces change, she traveled south throughout the years finally moving to Tucson, Arizona where she found warmth and inspiration for her writing. Susan is the author of Angel on My Doorstep—An Ordinary Woman’s Journey with Those from the Other Side, an autobiography of her lifelong paranormal adventures, with emphasis on those that took place before, during and after her husband’s passing. She has also published a book of poetry, Lady by the Bay, and recorded a CD, She Rode a Wild Horse, which includes her original Western poetry along with poems written by others. About her inspiration for her latest poem, “Juxtaposition—March 30, 1968,” Susan says that during one of her conversations with Ken several years ago he mentioned the importance of the date to him. Susan realized that this was the same date that she married her first husband, and how different their lives were on that day. With a twinge of guilt, she thought to herself, Ken lived in a nightmare world while I lived in a fairy tale world, oblivious to the horrors of war. BRAVO! supporter Barry Hart wrote this poem about his friend and Marine, Earl Wayne Harris, who was killed at the Siege of Khe Sanh in February of 1968. Barry wrote the poem after he saw the film at the screening in Memphis, Tennessee.